Augusta Personal Injury Attorney Chris Hudson Brings It When you're not satisfied with the proposed personal injury settlement from the insurance company, call attorney Chris Hudson. He will bring it! You’ve been hurt by another driver’s negligence and you need money now. Your medical bills are adding up and you are unable to work. You need money from the other driver or the other driver’s insurance company as soon as possible and you, understandably, want to know when a fair settlement will be in your hands. Every case is unique and it would be irresponsible to give you a hard and fast rule for when most cases are settled. However, we can give you useful information about settling car accident cases that will help you make a fair recovery as soon as possible. You and your attorney gather all of the information necessary to make a settlement demand. This includes information about the cause of the accident, which driver is liable, your injuries, your medical costs, your lost income, and other expenses related to the crash. Your attorney sends a demand letter with supporting documentation to the insurance company of the driver responsible for your accident. It is important that the demand letter be well drafted and persuasive since it is the starting point for settlement talks. The demand letter should include details about the accident, about why the other driver is liable for the accident, about the injuries the accident caused, and about the damages suffered as a result of those injuries. Your damages may include, but may not be limited to past, current, and future medical bills, lost income, pain, suffering, and other expenses caused by the crash. The demand letter will also include the amount of money that you are seeking in damages. The insurance company reviews your demand letter and responds to it. The response may include the insurance company’s first settlement offer which will typically be significantly lower than the amount you requested in your demand letter. It may also include reasons why the insurance company is refusing to pay, or refusing to pay the amount that you requested. Those arguments may include claims that their insured was not liable for the accident, you caused the accident, you weren’t hurt or you weren’t as hurt as much as you say you are, you got too much medical care, or you didn’t have to lose income. Your lawyer will respond to the insurance company’s letter. The response will include the specific reasons why their offer was too low and their arguments were incorrect. You and the insurance company may go back and forth many times before you agree on a settlement number. Difficulty obtaining reliable evidence to prove what happened. 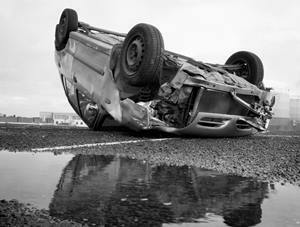 If there isn’t enough evidence that can be recovered from the accident scene, for example, then you, as the injured party, may need to hire experts to determine what really happened. Confusion over who is legally responsible for the accident. Sometimes the factual evidence is there, but both drivers believe they are not at fault for the accident. Liability must be clearly established before a settlement can be made. The amount of money at stake. The higher the damages, the longer settlement talks typically take. The insurance company profits by paying out as little as possible in damages. Accordingly, the insurance company is going to work hard to minimize your settlement if you are entitled to a lot of money in damages and it may take some time to reach a fair settlement amount. The amount of medical care that you need. The longer your medical care takes, the longer your settlement may take. You may want to wait until you’ve reached maximum medical improvement and you know what, if any, permanent health issues you will face because of the accident before you settle the case. These factors may cause settlements to take more time, but they will not preclude a fair settlement from happening if you work with an experienced car accident lawyer who knows how to obtain a fair recovery. Gather evidence about why the accident happened. Get medical care so that you can recover from your injuries to the maximum extent possible and be prepared to prove the damages caused by the accident. Gather other evidence about the damages caused by the accident such as proof of lost income. Send a detailed and well-documented demand letter. Be prepared for the insurance company’s likely defenses. Additionally, you can begin working with an experienced car accident attorney as soon as possible after the accident to make sure that all of your rights are protected and that the settlement process moves along fairly and quickly. Court Settlements v. Out-of-Court Settlements: Which Are Better? Generally, court settlements occur after out-of-court settlements have failed and a trial is likely. A court settlement may occur before trial or during trial, but before a verdict is issued. As long as you get the settlement you deserve, one type of settlement is not necessarily better than the other. That said, out-of-court settlements may be less costly. Regardless of how you settle your claim, it is important to know that once you agree to a settlement you are extremely unlikely to ever recover additional money for your accident injuries. The terms of the settlement will preclude your future recovery. Thus, how quickly you can get your settlement is not the only factor that you should consider when agreeing to a recovery. Instead, you also need to make sure that the settlement to which you are agreeing compensates you for all of your past, current, and future damages. Before you agree to any settlement, please be confident that you are being fairly compensated for your accident injuries by speaking with an experienced car accident attorney as soon as possible. Contact us online or call us directly at 888.795.6261 to schedule a free consultation.